On Tuesday, September 25, The Right Honourable Lord Wilson of Culworth will visit Northwestern Pritzker School of Law as the 2018 Trienens Visiting Judicial Scholar. His lecture, “Our Human Rights: A Joint Effort?”, will discuss the evolution of human rights in the Western world. Lord Wilson, a Justice of the Supreme Court of the United Kingdom, joins an illustrious group of Trienens Lecturers that includes Justices Kagan, Sotomayor, Ginsburg, Roberts and Kennedy. Although Lord Wilson is the first Justice of the UK Supreme Court to be awarded this honor, he is not new to Northwestern, having taught at the Law School for six months early in his career. In joining Northwestern as the Trienens lecturer, Lord Wilson continues the Law School’s long history of engagement with issues of comparative and foreign law; Dean Wigmore was a leading comparativist and expert on commonalities in the world’s legal systems. The current faculty has a depth and breadth of knowledge of the British judicial system—producing scholarship on the influence of the Scottish court system on the early American judiciary, the evolution and power of the UK Supreme Court, and English legal history more broadly. 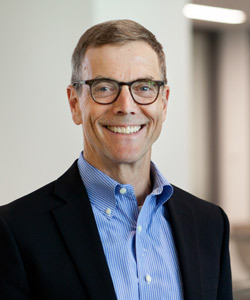 Professor James E. Pfander has written extensively on the history of Article III of the Constitution and its provisions for the exercise of judicial power by the federal courts. While English common law doubtless played a large role in founding-era conceptions of the judicial role, Pfander has been working to offer a more complete understanding of the framers’ legal world. Article III establishes but one Supreme Court, thereby breaking with the structural pattern of multiple supreme courts then prevalent in England. Article III also confers judicial power on the federal courts in cases at law, in equity, and in admiralty, thus combining forms of judicial authority that the English were keen to separate. Much of Pfander’s recent work examines the implications of this broadened understanding of legal practice in the eighteenth and early nineteenth century. Over time, Pfander’s work has focused on the possible influence of the Scottish Court of Session on the structure of the Article III judiciary and has explored aspects of the Scottish use of civil law process, including action popularis, a mode of litigation that enabled a single citizen to stand for the public in pursuing matters of public right, and the Scottish Court of Session’s historical model for a “litigable interest” construct. Building on the practices of civilian courts, and drawing on Scots and English legal history, Pfander has also worked to understand the power of federal courts to adjudicate uncontested assertions of right in the exercise of “non-contentious” jurisdiction. He argues that the requirement of adverse-party contestation applies only to matters described as “controversies” in Article III. Building on the case-controversy distinction, Pfander argues that the inability of the federal courts to decree in probate matters likely stems from the uncontested, state-law quality of many common form probate petitions and that the so-called “domestic relations” exception to Article III stems from the inability of federal courts to decree in uncontested family law matters, such as marriages, adoptions, guardianships, and the like. Professor Erin Delaney has taken a close look at British constitutionalism and the current UK Supreme Court in a body of recent work. Delaney argues that the British constitutional system is in crisis—a stable democratic system raising fundamentally destabilizing questions of constitutional design. This tension is exemplified by the debates over judicial appointments to the UK Supreme Court, which highlight the conflicting ways that key actors in British politics understand the role of the judiciary. Recently enacted reforms, including a mechanism to encourage judicial diversity (including racial, ethnic, and gender-based diversity), mask deep divides within the elite about the extent of judicial power. She has argued that the focus on diversity as a mechanism of reflective representation is an unstable compromise, unlikely to stave off further need to restructure the appointments process. This conflict over the role of the judiciary in the British constitutional system stems from the steadily accruing power of the UK Supreme Court, a theme Delaney has tackled in some depth. The pace and nature of constitutional change has presented the UK Supreme Court with opportunities to exercise its authority in ways that suggest external constraints on Parliament—a dramatic shift from the classic version of British constitutionalism resting in parliamentary sovereignty. Of course, the rise of the Court is not the only challenge to traditional norms of British constitutionalism; the rise of referendum politics also threatens the status quo. 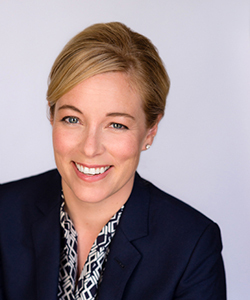 Professor Emily Kadens is an award-winning scholar of English legal history, who has conducted detailed studies on William Blackstone, the education of 18th-century common law justices, early English bankruptcy and equity courts. 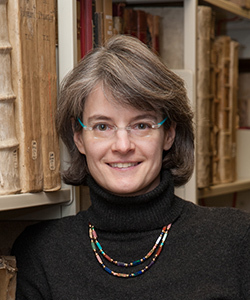 Her forthcoming work in Columbia Law Review and Cardozo Law Review on the nature of fraud and reputation draws heavily on archival research on the Tudor and early Stuart eras. She mines the disputes of merchants heard in the Star Chamber and Court of Requests for insights into the varieties of commercial cheating of the time.